Hello friends! 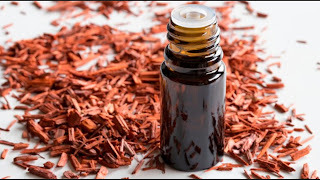 In the last article you came to know about what is Sandalwood oil, its uses, benefits and everything about it. Today, in this article we’ll tell you how Sandalwood oil is extracted. Sandalwood oil is extracted by many methods. 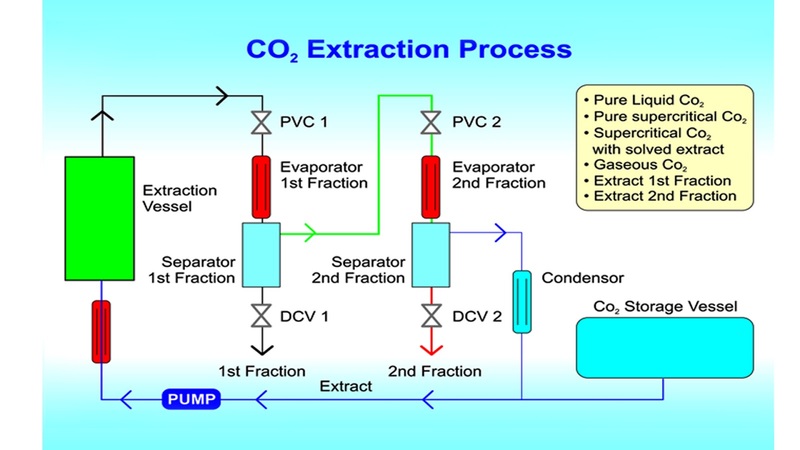 Distillation methods vary, ranging from today’s steam distillation to the more traditional hydro (water) distillation and also including CO2 extraction. 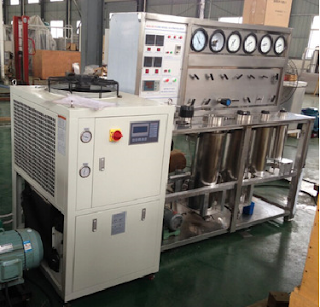 CO2 extracts, also known as supercritical CO2 extracts or supercritical fluid CO2 extracts are pure plant extracts produced from a fairly new and highly efficient extraction process. 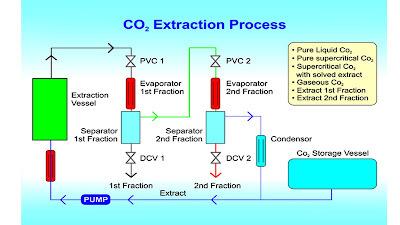 CO2 extracts are similar to essential oils and can be used in aromatherapy or perfumery. The CO2 extraction method involves pumping pressurized carbon dioxide into a chamber filled with the sandalwood’s powdered heartwood. When carbon dioxide is subjected to pressure it possesses liquid properties while remaining in a gaseous state. Because of these liquid properties of the gas, the CO2 acts as a solvent, releasing the sandalwood oil from the wood. It is the traditional method used in extraction of sandalwood oil. The oil extracted is of good quality though this method is not very popular and in not in much use these days. 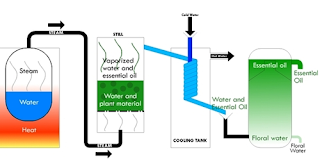 Instead of steam passing through the powdered wood, in hydro distillation the powdered wood is immersed in water to soak. The water is then boiled, often heated over an open fire. The Sandalwood essential oil eventually floats to the surface, above the hydrosol, where it can be collected. 2.) 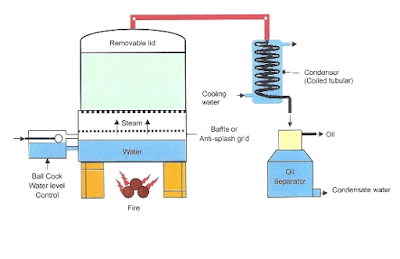 Steam Distillation: Now a days, it is the most used and preferred method for extraction of Sandalwood Essential Oil by many companies as it produces the best quality of the oil. 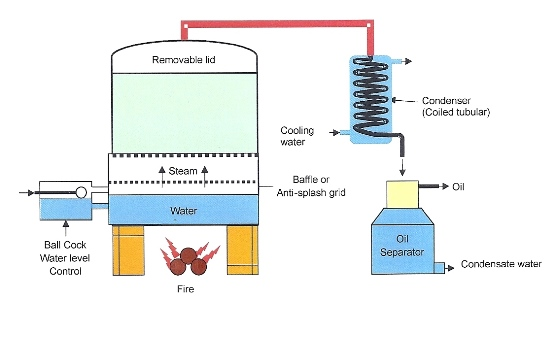 In this process steam heated at extremely high temperature is passed through the powdered wood. The steam releases the sandalwood essential oil that is locked within the cellular structure of the wood. The mixture of steam and oil then flows through a condenser and cools, yielding a layer of oil and a layer of water. The sandalwood essential oil separates from the hydrosol (floral water) rises to the top so it can then be collected. Engaged Or Not Who Cares ?